Soothing vocals over electric, classical guitar makes the ideal pleasant backdrop of music that can be background or interactive. I specialize in Adult Contemporary (ages 40+) and Folk and can sing in languages such as French, Spanish and Italian. Performing solo I require little room to set up and I use a few pedals for effects (such as adding strings and other instruments) that give my solo act a full sound. I have performed hundreds of shows and am very professional. My prices include a FREE sound technician who accompanies me to shows and ensures perfect sound quality and volume and is ready and on hand to assist with anything needed the performance the very best for your special event. A soft, enjoyable listening experience. Listeners say they feel so relaxed but uplifted. A somewhat nostalgic sound covering hits from the 50s to the 90s allowing listeners to reminisce on good times from the past. Studies have shown that listening to music from when you grew up has very positive effects on the brain including lifting mood. Artists I cover include, Sarah McLachlan, Eva Cassidy, Edith Piaf, Enya, Joni Mitchell, Enya, Loreena Mckennitt, Sarah Brightman, Joan Baez, Carole King, Jewel, The Cranberries and many more! Carefully selected songs are customized according to the audience and mood of the event. I get many compliments on my unique choice of songs. I can also do a more upbeat, singalong set list of mainly Folk, Folk/Rock and pop favorites from the 60s, 70s, 80s and 90s. My husband accompanies me to shows and will make sure sound levels are perfect at all times and is available to assist with questions and requests throughout the performance. Nicole Lisa Craig is a compassionate musician who lends her angelic voice to ENTERTAIN, INSPIRE, and LIFT people to a better state of mind. Her performances feature ethereal vocals and smooth guitar picking, blending elements of Indie Folk, New Age, Classical, World and Alternative. Nicole's three studio albums have been added to over 150 radio stations across North America, South America, Australia, and Europe hitting the top 20 charts at stations like KAOS and The Scope. Her track "City at Dusk" was the #1 Canadian Indie song on Q108's 2017 charts. Nicole has collaborated with Chris Hess who recorded members of Sass Jordan, Kim Mitchell, and Honeymoon Suite. And Derrick Downham who has performed/recorded with Serena Ryder, Jim Cuddy (Blue Rodeo), Ron Sexsmith, Rik Emmett (Triumph), and many others. 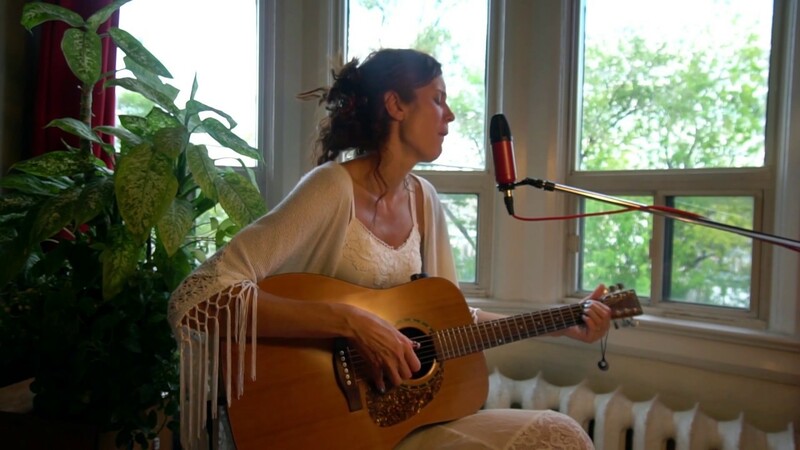 She has been the featured act in places like The Orillia Opera House, Winterfolk Festival, Niagara Lavender Festival, Old Church Theatre, Utopia Hall, Lindsay Academy Theatre, and Hughs Room. Nicole has performed with Canadian Folk Legend VALDY and Rick Dutkiewicz Haynes (GORDON LIGHTFOOT's Bass player since 1969). 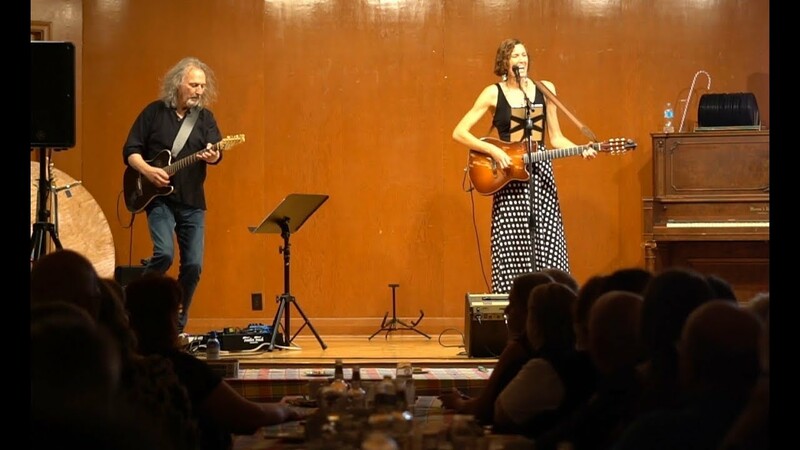 Nicole now tours with DAVID HENMAN (co founder on APRIL WINE) and Donald Quan (formerly with LIGHTHOUSE and LOREENA MCKENNITT). Nicole is touring across Ontario and Quebec and does over 150 performances a year. I just need a small area to play in (about 4"x4" should suffice). I can bring an amp and all equipment needed to play for a smaller room (up to 50 people). If a larger system is required then I need a PA with two inputs. Access to an electric outlet is needed.